The Regional Council has voted to take over operation of Lansdowne Park from the city of Ottawa. A final vote on the issue is planned for next month. Under the new management, the council will get parking revenues and will no longer offer discount deals to those wanting to use the venue. The changes are expected to help pull the operation out of debt that is costing CAN$1.2 million a year. 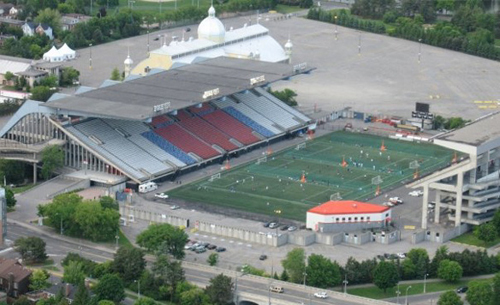 The Canadian Soccer Association is also poised to begin holding matches at the stadium. 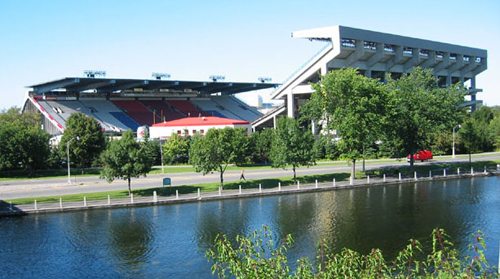 Ottawa, Ontario - The City Council has signed off on plans for a C$97 million renovation of Frank Clair Stadium as part of new development planned for Lansdowne Park that would include an aquarium, hotel and retail. The decision means plans by Eugene Melnyk to build a soccer stadium near Scotiabank Place are likely dead. Melnyk, in a statement, expressed "profound disappointment," and that the city now has "a chance to do something great for the city and transform Lansdowne Park into one of Canada's great public spaces. And while I continue to disagree with the strategic placement of a stadium at Lansdowne Park adjacent to the UNESCO World Heritage designated Rideau Canal, I have too much passion for this city to stand in the way of a project that will create positive and significant change." The Lansdowne group will now have 60 days to work with city staff on a plan for the park. That will be followed by 21 days of public consultation. Council also approved a motion allowing the city manager to spend up to C$200,000 negotiating the deal. The developers hope to field a CFL team in the venue if a deal is worked out.